Stabilizer icing on an ATR-42 passenger plane likely caused serious control problems during takeoff, according to a report by the Accident Investigation Board Norway. 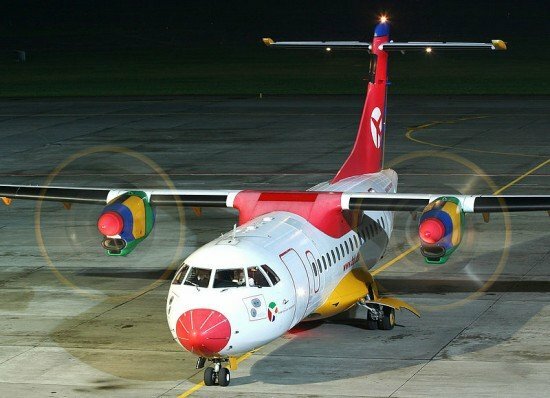 On November 9, 2007 an ATR-42 operated by Danish Air Transport was departing from Bergen Airport, Norway when it lifted off prematurely without any control input had been given from the flight crew. The airplane continued on an uncontrolled climb despite both control columns being moved to the forward stops and additional engine power had been added. The stick shaker activated and the “cricket” sound was heard for some seconds at the same time as the airspeed decreased. Eventually the airplane nose started to lower and the airspeed gradually increased, after which the stick shaker ceased. The flight crew got control over the situation and continued on the flight to Florø. After landing at Florø Airport the flight controls and control surfaces was inspected without anything abnormal was found. The crew observed that snow was forming on the aircraft during the stopover at Bergen, in addition to remnants of clear ice from the previous flight on the wings, the horizontal tail surface and the propeller spinners. Prior to departure, the aircraft was de-iced and treated with anti-icing fluid. The Accident Investigation Board has noted that de-icing of the stabiliser, and especially the rear sections in the transition between stabiliser and elevator, was given special attention in the tail surface de-icing procedure for ATR 42/72. This is to prevent the elevator from freezing, as has happened several times with this, and aircraft types of similar design. The procedure also explicitly states that the upper surface of the tail must be de-iced, but the AIBN still questions whether the special focus on clearance between the elevator and stabiliser on ATR, and other aircraft types with a similar tail design, may have caused the de-icing personnel to not be sufficiently attentive to the importance of also keeping the upper surface of the stabiliser and elevator completely free of ice and snow.